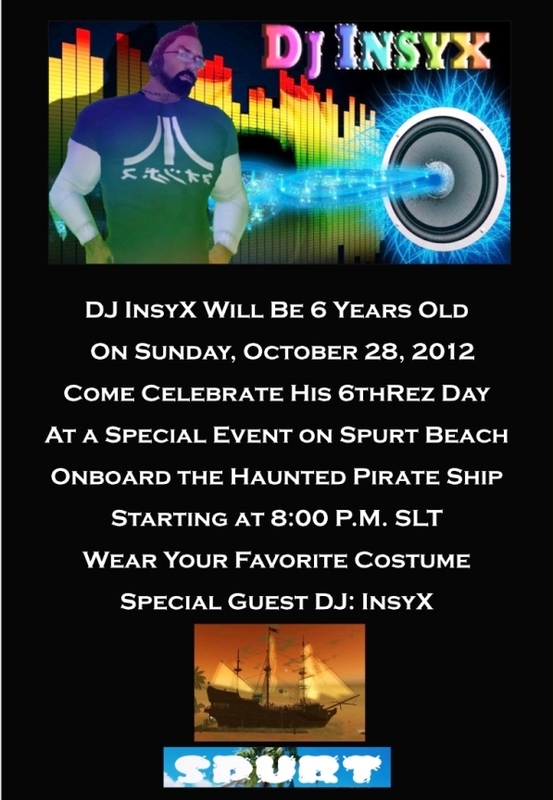 DJ InsX will be 6 years old on Sunday. 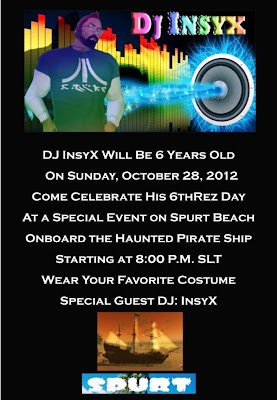 Come celebrate his 6th Rez Day at a Special Event on Spurt Beach at 8:00 PM SLT, where InsyX will be spinning the tunes in honor of his big day. Weat your cosutme best- anything goes on Halloween weekend!